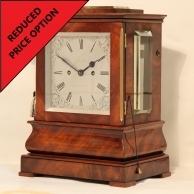 M. C. Taylor - 008 A very fine, engraved Gorge style, bell striking and repeating carriage clock with alarum by Henry Lepaute. circa 1870. The eight day duration, striking and repeating movement with it's original 'Club toothed, side lever' silvered, jewelled, platform escapement. 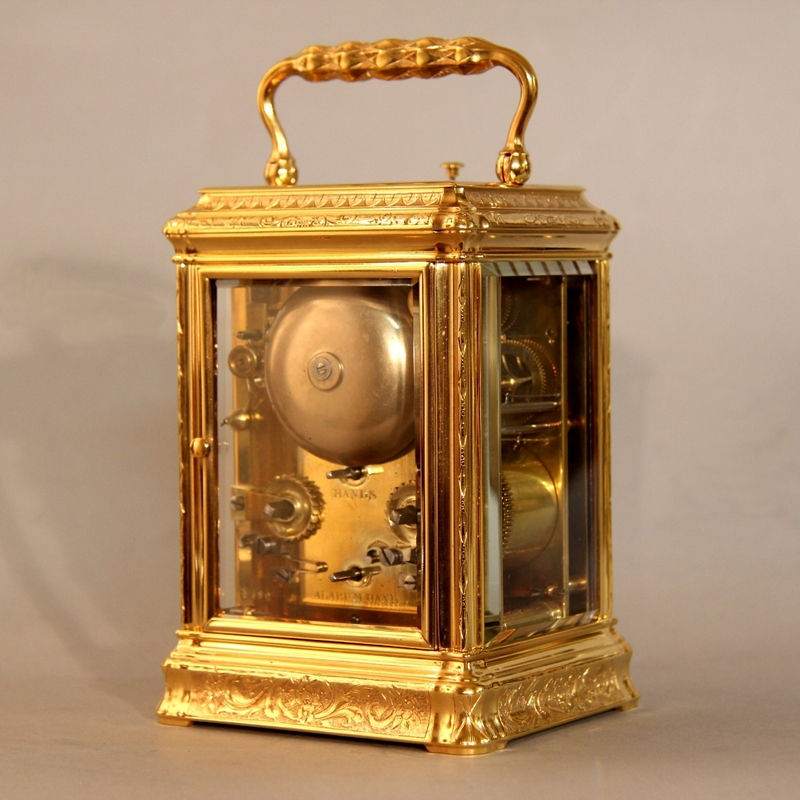 'Flirt release' strike, sounding the hours and halfs on a bell and also at will with a repeat button. The backplate and other parts being numbered 3490 and 10103, the frontplate discretely marked 'H.L.' so as not to be easily seen. 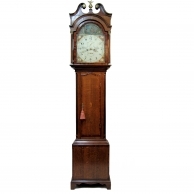 Behind a 2 1/2" diameter, white enamel dial with black Roman numerals, minute and lower alarum subsidiary rings. Also having matching blued steel Breguet 'open moon' style hands. contains the strike repeating button. 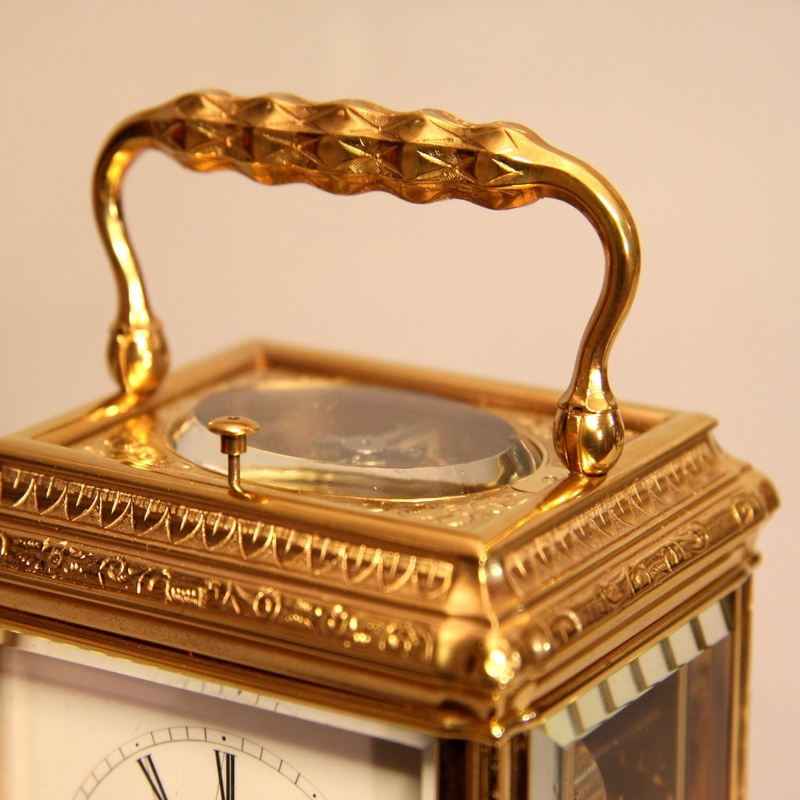 Also having a faceted and engraved, single piece, pinned, single direction carrying handle. The case is also numbered. 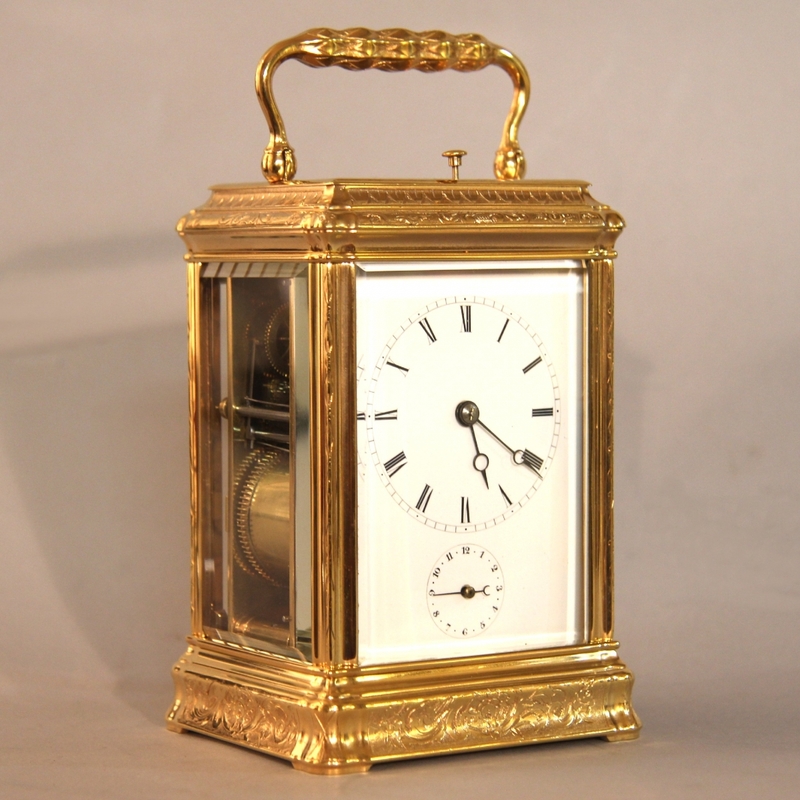 * Henry Lepaute was an excellent maker who supplied clocks to other makers in particular, Paul Garnier. 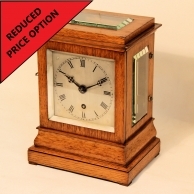 His markings had to be discrete because the makers that he supplied would usually place their own mark on the clocks. 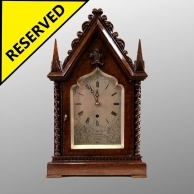 ** This is a very fine clock, the hand engraving would have taken a master engraver considerable time. It has high quality features such as flush mounted machine screws and silked sound holes in the base plate. 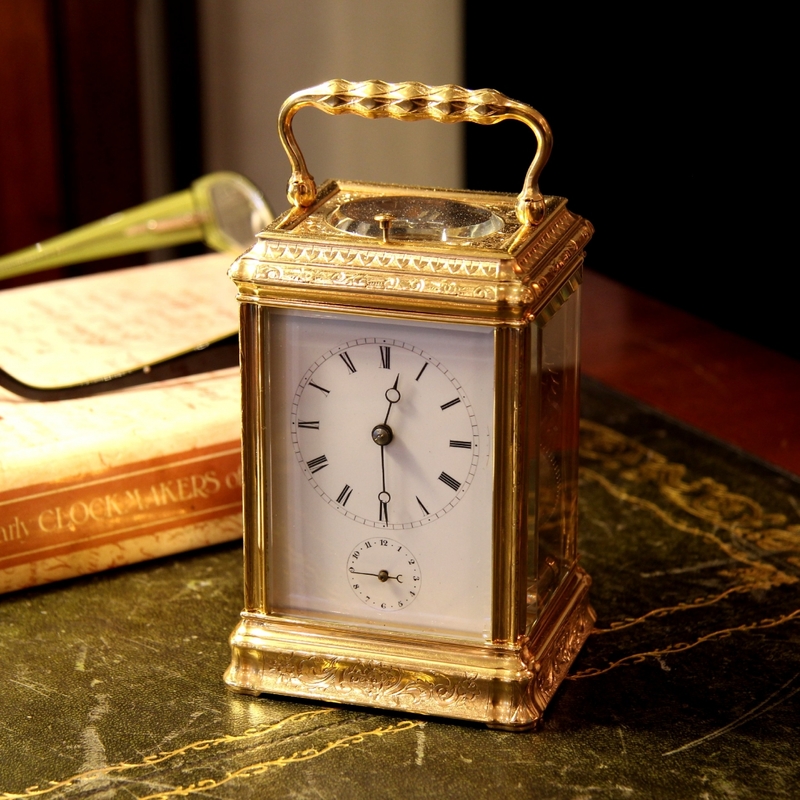 Gorge style cases were only used for the very finest of clocks and were very accurately and individually made; their parts were not interchangeable therefore all the components for each case had to bear the same number. The condition of this clock is superb and has very rich 24 carat gilding. All of the panels are undamaged and the dial is almost perfect. 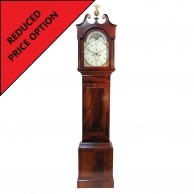 The cost of this clock is considerably less than other comparable examples on the market (usually 6k) and of course, the quality of our movement restoration cannot be beaten and will be carried out personally by Mr. Taylor. Dimensions: 6 1/4" high (with the handle up) x 3 3/8" wide x 3" deep. Condition: Excellent and totally original. Awaiting movement service. Released by us: April 2015.